Though I can’t speak on this with any totality of thought (if that makes sense). Still, hardly have I experienced the whole “once to bed, twice is enough” experience in series built in the two decades following Maria Muller’s genre-shaking debut. You know, of her 1977-birthing of female private-eye, Sharon McCone. And Sharon was a great protagonist to flush in writers serving the world female-led hard-boiled stories during the 80’s and 90’s. Of course without characters tip-toeing pass hotel wallpaper to slide into bed for a clue. Usually with the unbeknownst killer. Muller gave writers a model of a female private-eye, and in turn, those writers served their special and unique versions of what translated as a woman detective carrying hard-boiled stories. Plus, stories back then knew how to fill the pages with actual words–and procedural work. But, incidentally, Marcia Muller's Sharon McCone wasn't the first contemporary American woman taking lead as a fictional private investigator. Apparently, Maxine O'Callaghan's Delilah West came first. Had it not been for a recent trip to a used bookstore, where I discovered West tucked in a stack, I never would've known. First, I have got to say that while researching O'Callaghan, I noticed she has newer reprints of her series. And I have got to say I do not like the covers. At all. No shade to young adult books, but that’s precisely what the new covers of her Delilah West mystery books look like; some angst-filled YA book about vampires and love gone bloody. Thank God I ran across her original paperback covers first. And I’ll be sure to hunt for the original covers to this series here forward. As dated as they may appear, it’s always best to keep to the classics in cases such as this. I really, really can’t believe how awful the new covers are. As I mentioned, the character of Delilah West pre-dates Marcia Muller’s Sharon McCone. West first appeared in a short story featured in Alfred Hitchcock’s Mystery Magazine back in 1974 (three years before McCone debuted with Edwin and the Iron Shoes). I suppose the short story break sort of did a strange disservice O’Callaghan’s protagonist, as Muller’s Sharon rose to attention and commercial success three years later. While continuing to publish yearly releases to this day. Nonetheless, Orange County resident and ex-cop private-eye, Delilah West, broke into her first full-length book in 1981 with Death is Forever. 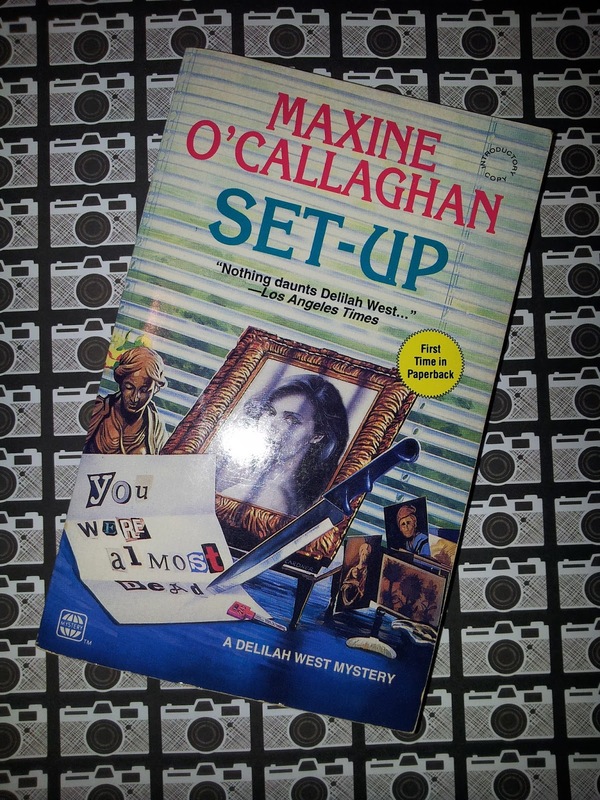 From 1981 until 1997, O’Callaghan released six Delilah West mysteries and a short story collection. I say it’s high-time we catch up with Delilah West and keep her in mind when we’re talking about the beginning of the contemporary female private-eye.